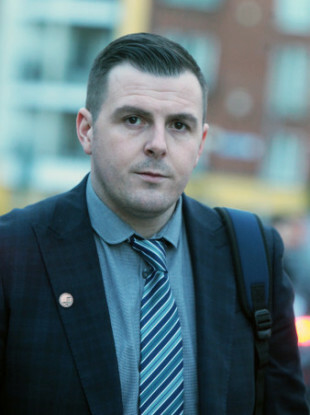 A FIANNA FÁIL activist has been cleared to take a challenge over Ireland’s electoral laws linking the state funding for political parties with their meeting gender quota targets. Brian Mohan was granted leave today by the Supreme Court to pursue a challenge to the constitutionality of the laws in the High Court at a later date. Mohan had hoped to run as a candidate for the party in the Dublin Central constituency in 2016′s general election. In 2015, Fianna Fáil members in Dublin Central and Dublin South-Central were told they could only select a female candidate to run in the 2016 general election. He challenged sections of the Electoral Act 2012 which sees the state funding of parties slashed unless 30% (at a minimum) of a party’s electoral candidates for a general election are women. His leave to take the action was dismissed by the High Court in 2016 and later by the Court of Appeal. Both courts found that he was not directly affected by the laws and that his own party – Fianna Fáil – had not challenged them. The courts also found that Mohan wanted to rely on the right of any political party to challenge the legislation. In a unanimous decision today, the Supreme Court found that Mohan did have a standing to take a case against the legislation. It found that the other courts had erred in judging that the indirect nature of the impact of the legislation on Mohan denied him of the standing to take a challenge. The matter will now go back to the High Court for a full hearing. On Twitter, Mohan said he was “over the moon” at the court’s decision. “Well we won our case in the Supreme Court this morning, over the moon, I always knew I’d the right to take this case,” he said. Mohan is an election candidate in the upcoming local elections. Email “Fianna Fáil member wins right to take case over Ireland's gender quota laws”. Feedback on “Fianna Fáil member wins right to take case over Ireland's gender quota laws”.